On the 11th day of Christmas Caroline gave to you an altered journal gift. 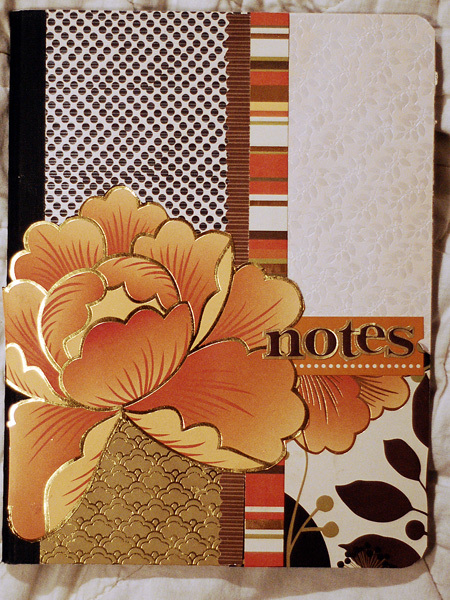 She covered the journal and cut the large flower out of papers from the Moonrise collection. Then she attached the stickers and alphabet. 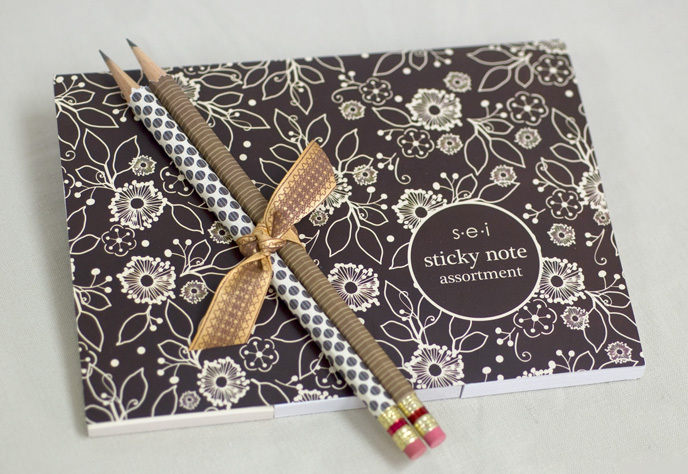 On the 12th day of Christmas SEI gave to you a note set. This gift is so quick and easy! All we did was wrap pencils with some of our favorite Moonrise papers. Then combine it with a coordinating sticky note pad and voila! We hope you enjoyed our 12 Days of Christmas and it has sparked some creative gift ideas! SO very perfect for teacher gifts. Those are so neat and look like they didn't take a whole lot of time to create for those of us that are busy this time of year.